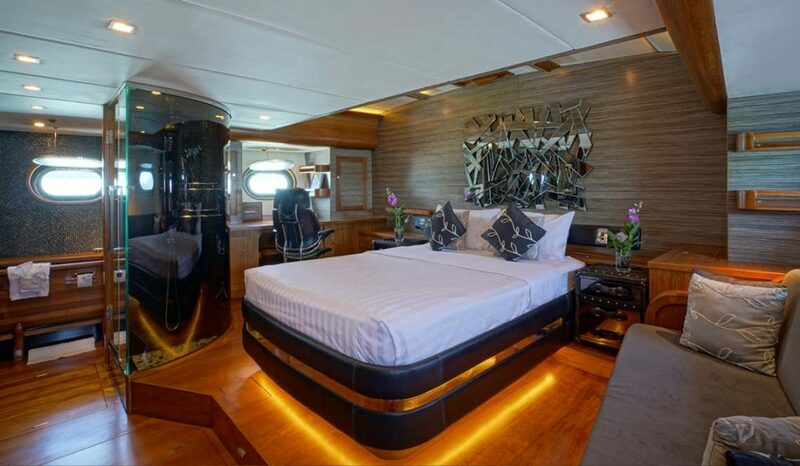 This Luxury Super Yacht was designed by Sparks and Stephens. 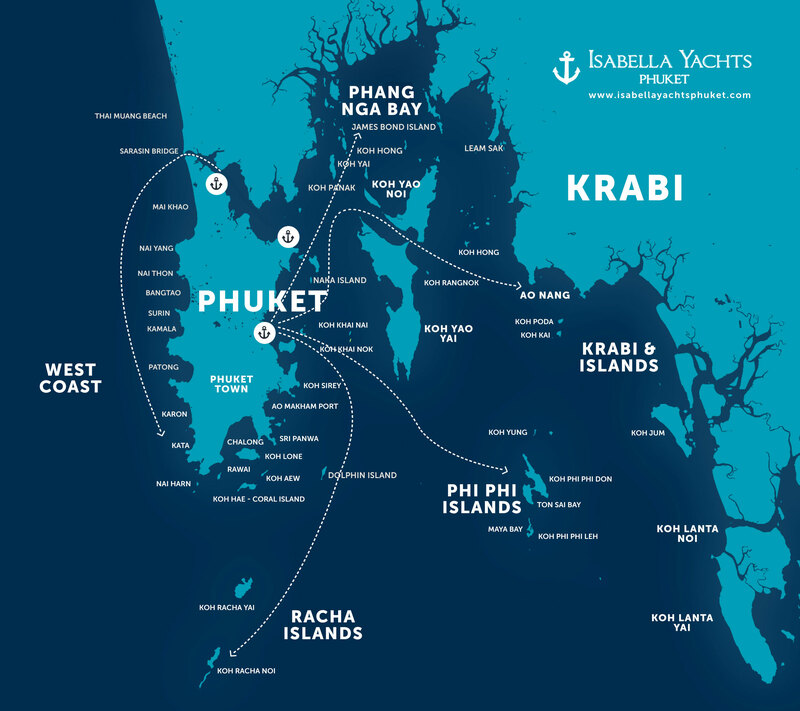 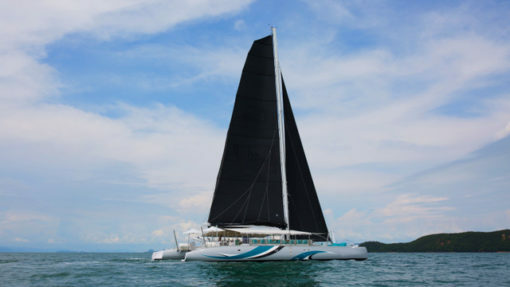 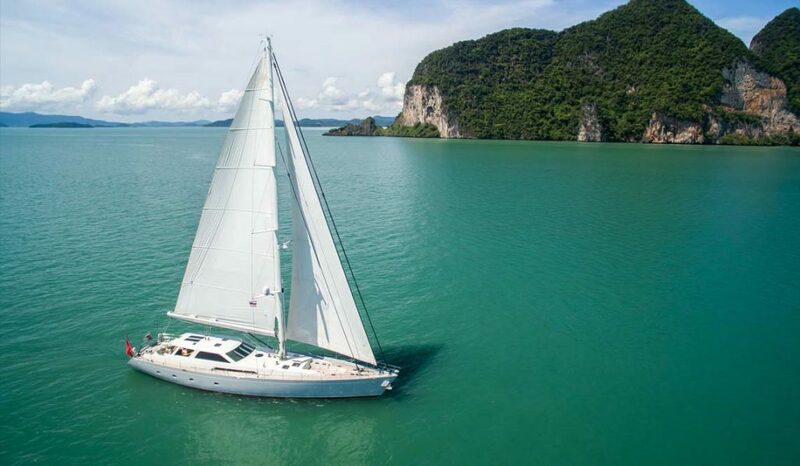 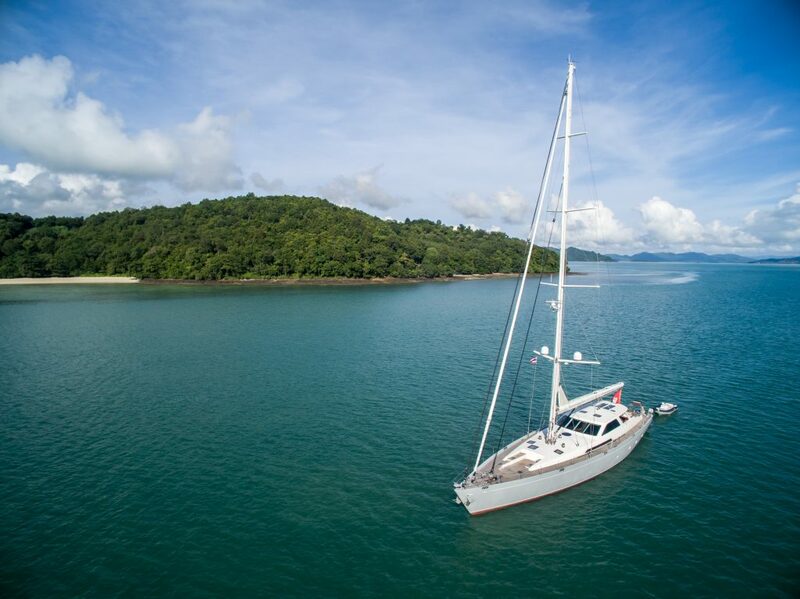 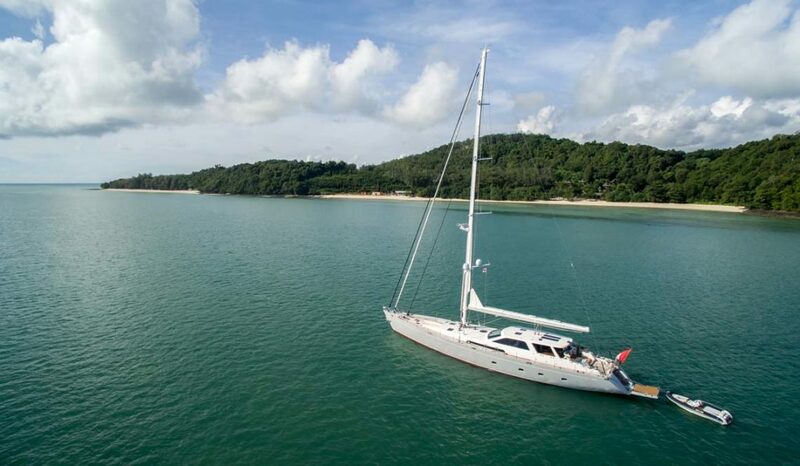 Built in Thailand and launched in 2011, this yacht has sailed many seas with an excellent crew. 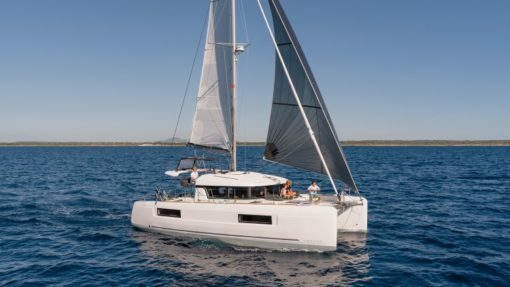 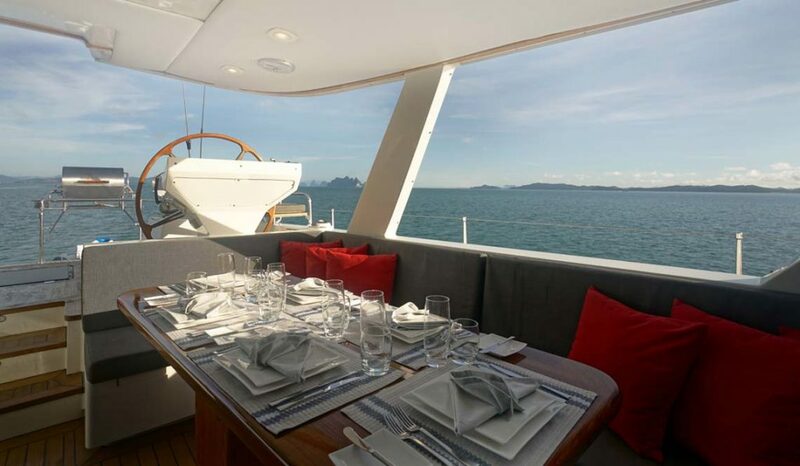 Sporting a teak-laid deck and sleek aluminium hull, a contemporary interior comprising of a solid teak trimming wine bar welcomes discerning guests. 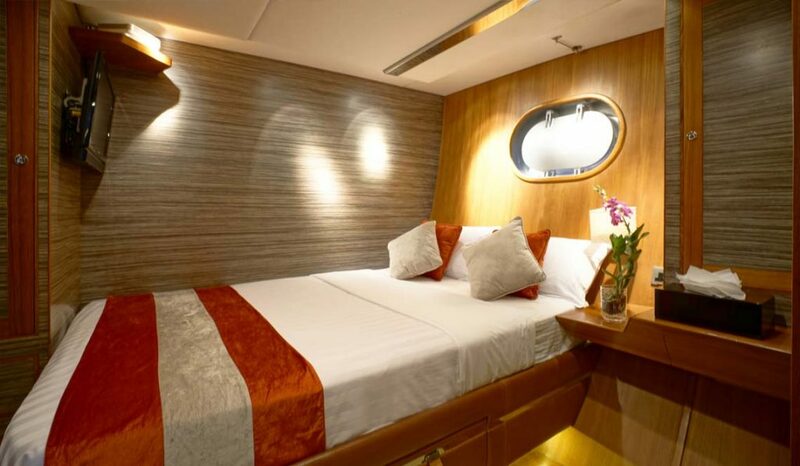 She’s also got another bar in the cockpit for you to enjoy a few beers and cocktails. 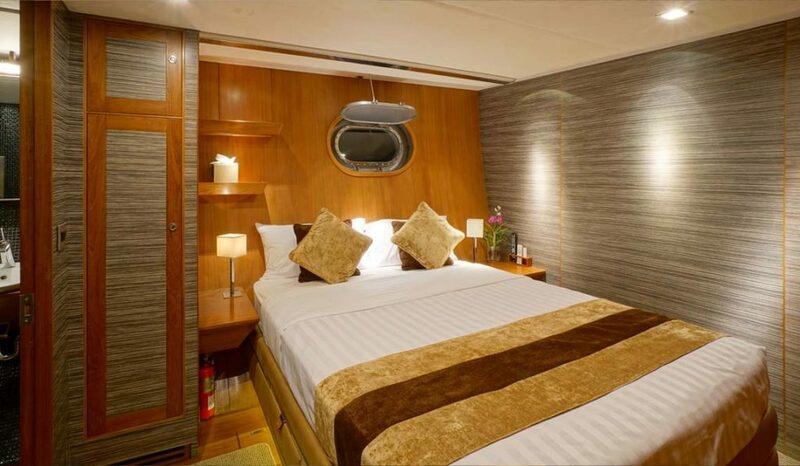 Offering four beautifully appointed sleeping cabins, 10 guests can enjoy overnight cruises, with the en suite master cabin boasting a king-size bed and a solid teak bath tub. 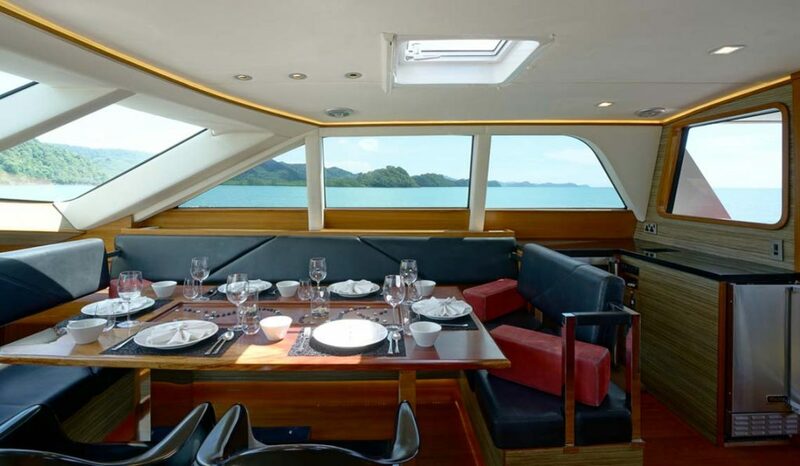 For day charters, she accommodates up to 40 people, with two dining areas and a range of toys available to ensure your Phuket charter is perfect. 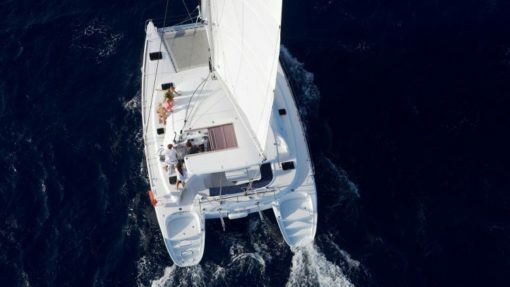 NOTE: Prices are for up to 20 people. 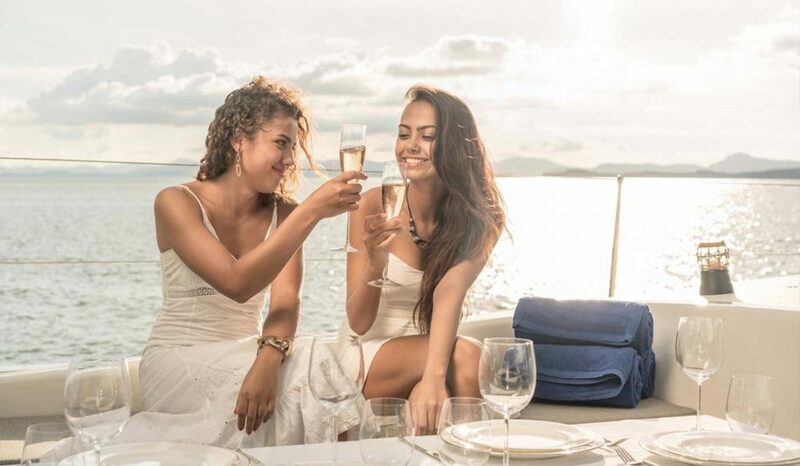 21-30 people add 1,500 Baht per head. 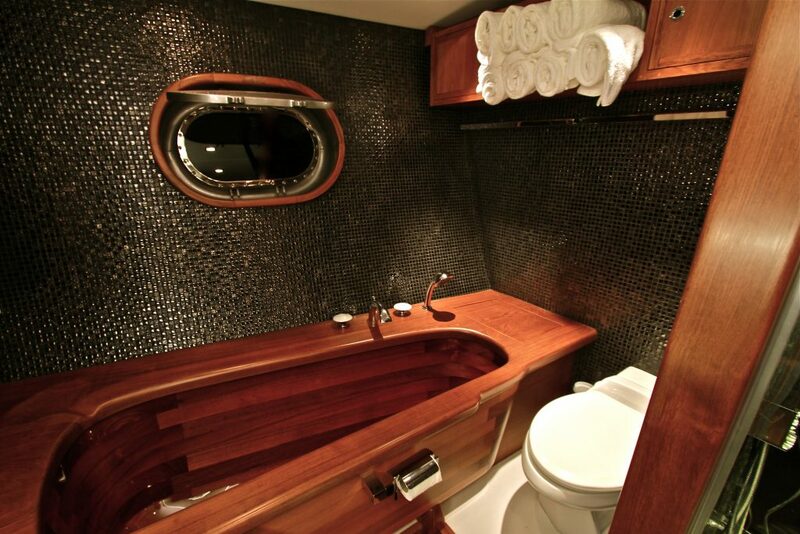 For large group charter rates please ask.